This stunning Williamsburg style colonial has the ultimate WOW FACTOR you've been waiting for & is sure to impress! When you walk in, you will be amazed with all that this one-of-a-kind gem has to offer. Totally updated inside & out. It is the perfect blend of modern amenities & open flow of a new build, yet still offers that classic character & storybook charm of an older home. Situated on almost a half acre, you have a beautifully landscaped lot with an oversized/extended paved drive leading to attached rear garage & additional parking. Bring your boat/toys! Upstairs you will find the master suite with private bath & walk in-closet. There are 3 additional generous size bedrooms upstairs. Hardwood floors up & down, ceramic tile in baths. 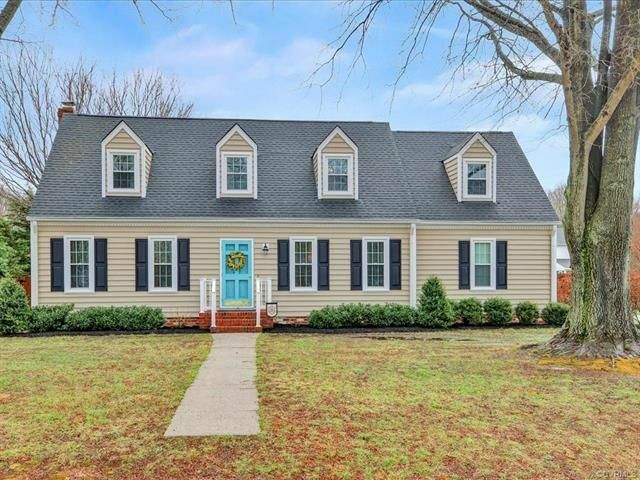 Dimensional Shingles, Dual-Zone HVAC, Vinyl Siding, Vinyl Tilt Windows, Granite Counter Tops, Stainless Appliances, Beautifully Updated Fixtures, & Patio Overlooking Privacy Fenced Rear Yard are just some of the things this unique home has to offer. Excellent location in desirable Mount Blanco area & sought-after Brand NEW Enon Elementary district. Better hurry-this is a rare & unique find in Enon & it won't last long! Schedule your showing today.